San Diego offers a vibrant culture and nightlife as well. If chilling out on the water without getting wet sounds like your idea of a good time, then a harbor cruise might do, but watch out for the Navy’s warships that call San Diego their home port. Hit the trendy food scene, which takes from its southern neighbor. Go in for some homemade tortillas and margaritas at Old Town, a historically preserved village that was once a mainstay for Mexican settlers. 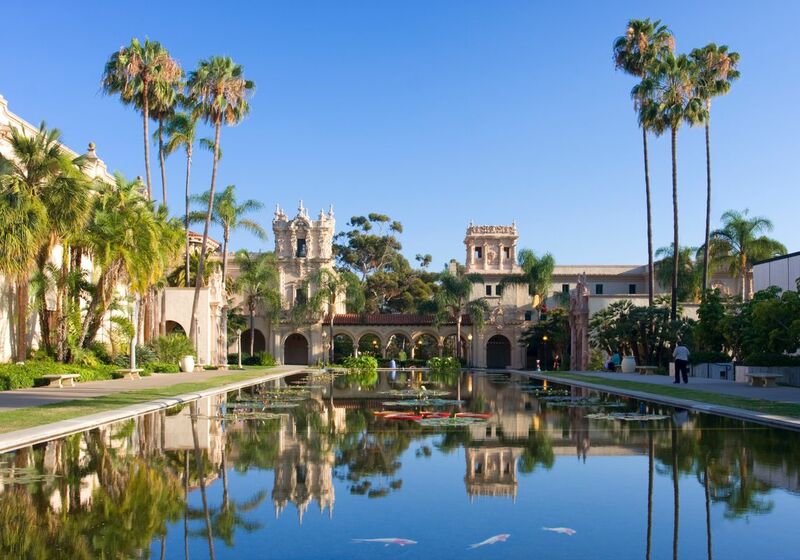 Explore the history and culture of beautiful Balboa Park, where you can tour numerous well-regarded museums, catch live music shows in the stunning Organ Pavilion, or meander through internationally-themed villages. With a wide variety of restaurants, bars and clubs, and authentic speakeasies, the re-born Gaslamp Quarter offers travelers a hipper place to go at night. though the months which see the most sun are actually December to February. Prospects for a perfect tan may be frustrated by fog in May and June, so if a beach vacation is your bag, skip those months, but overall, travelers are free to enjoy the sea lions, beaches, and trendy Gaslamp Quarter without much worry for the weather. I would recommend the Oceanside Pier, it’s an amazing view and tons of activities to do by the beach. Just walking on the sidewalk, there is much to see, even open houses to view. I am here once a year for Comic Con and love being down in San Diego for that weekend. The Gaslamp section is fun and exciting and trendy. Great place to sail from and awesome nightlife. If you like men in the service. All I can say is double wow and double the fun here. You can see it all here. Beautiful city in Southern California close to the border with Mexico. We were there in March which is the loveliest time of year. Incredible weather. The harbour area and zoo are not to be missed. Bit suburban otherwise. This is just a beautiful place! I love the hiking, ocean, sand, beaches! It's a great place to take the family or if you're single the nightlife is wonderful! EIS Financial & Insurance Services is your local independent full financial service agency providing families with homeowners insurance (including condo insurance and renters insurance), earthquake insurance, auto insurance, medical insurance, long term care insurance, personal umbrella insurance and life insurance serving our accounts from our Northridge and San Diego offices. Many of our new clients come as referrals from our existing accounts throughout California, Arizona and Nevada. I envy all of you who live in warm climates...what a nice city! San Diego to me always had that youthful energy! which is always nice! I love my quick 2 hour drives to San Diego. There is so much delicious foods here!